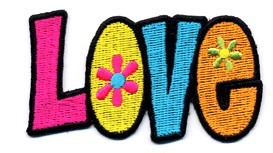 Love patch in a 60's style design. Patch can be ironed or sewn on. Measures 2" x 3 1/2".